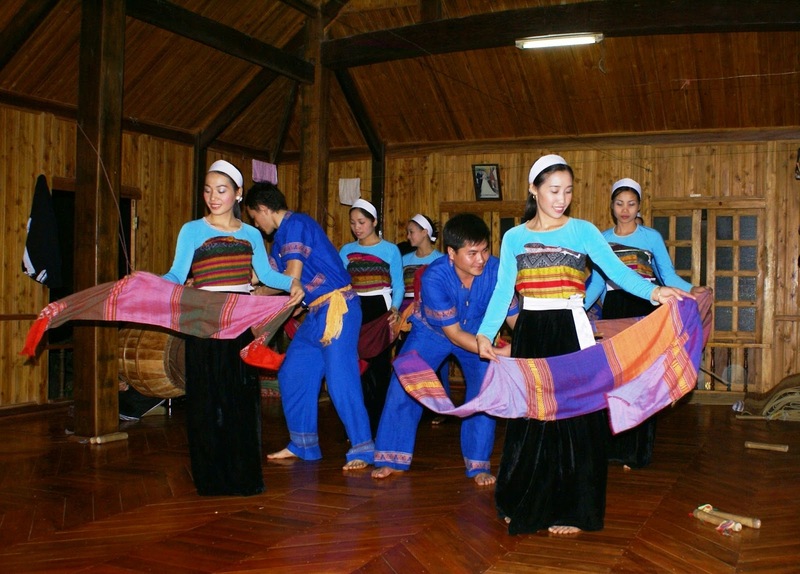 About 200 km from Hanoi Capital, Yen Bai Province is home to a number of ethnic minority groups with diverse cultures and customs. 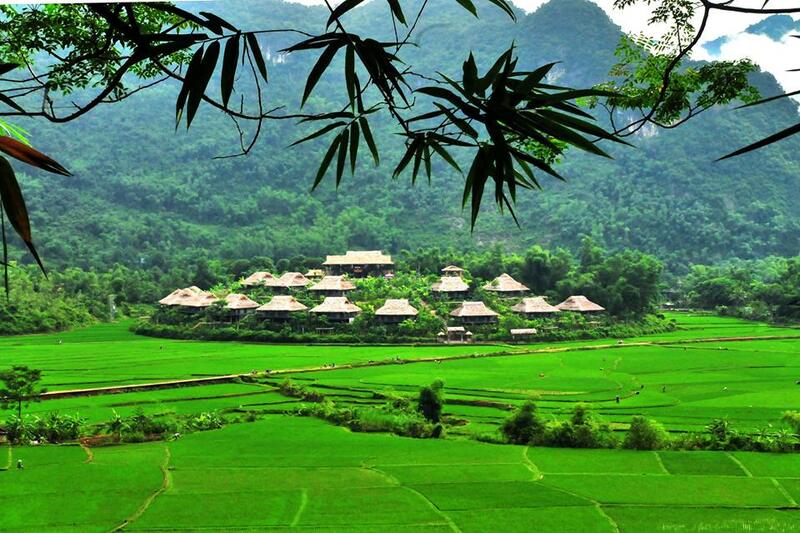 Thanks to its beautiful unspoiled landscapes and diverse culture, Yen Bai Province has become a favorite tourist destination of many domestic and international tourists. It can be said that terraced fields stretching on mountain, hillsides, and in valleys in Mu Cang Chai District are the most famous sites drawing visitors and photographers, especially in the ripening rice season. There are a lot of people said, " they have visited many places elsewhere but terraced rice fields in Mu CangChai are the most beautiful. It was unbelievable that the local people can grow rice on a terraced field which is dry in hot weather and rice can’t grow.” Do you know? in autumn, Mu Cang Chai looks like a yellow rice waterfall, especially in September, the harvest time. 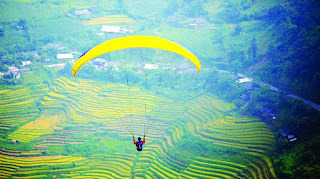 Besides that Khau Pha Pass is also another attraction that you can not ignore when coming to Yen Bai. In the Thai language, Khau Pha means “Sky horn”. Stretching for more than 30 km from Van Chan to Mu Cang Chai district, Khau Pha is one of Viet Nam’s steepest and most winding passes. 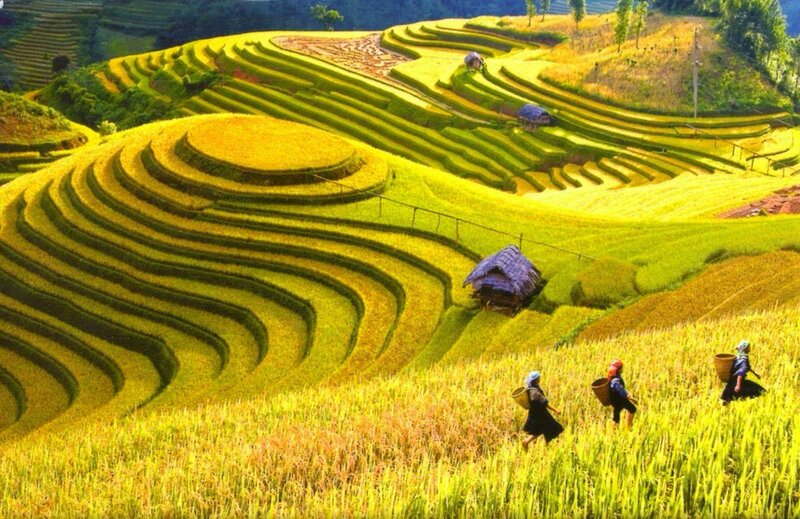 It winds through primitive forests and terraced rice fields. At 1,200 m above sea level, Khau Pha is cool throughout the year. 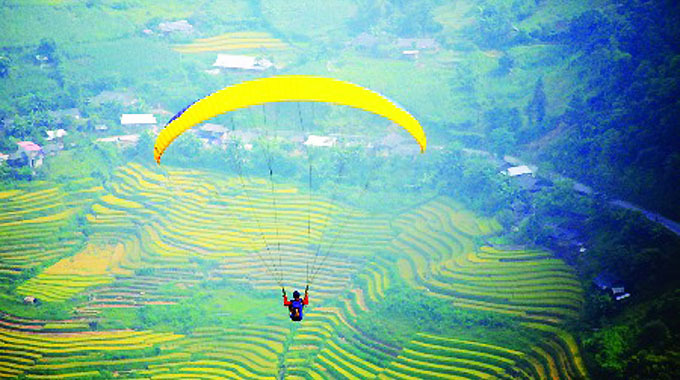 This will be a wonderful experience going through the Khau Pha pass, admiring the magnificent mountains, the small houses nestled in clouds, and the beautiful terraced rice fields, while breathing the pure air and listening the birds sing. Moreover, Yen Bai Province is also home to 30 ethnic minority groups, Yen Bai Province has rich cultural treasures, traditions, festivals, and customs including the Mu Cang Chai terraced rice field festival, the Thac Ba Mother Goddess Temple festival, plus new crop, going to the field, rain praying, Ban flower, and swinging festivals. Like Sapa ,Mai Chau and some other mountainous provinces in Northern Vietnam, the best way to experience in Yen Bai is you can take homestay tours. In fact, Homestay tour has been a very attractive tourism form to travelers especially those in urban areas. This is truly a tourism form tourists should not miss if they are interested in exploring the local culture and lifestyle. This tourism product, which provides accommodation services and meals, enables tourists to enjoy picturesque scenery and fresh air and learn more about local special cultural features, including folk dances and songs. The beauty of landscapes, people, and their cultures are always charming to visitors. 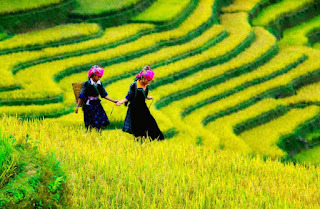 Whatever Asia Charm Tours says now is only eager to give you a simple message: Let come to the northwest of Vietnam to discover the natural beauty, learn about unique identity culture, especially experience a homestay tour here. It is a great chance to you can know that life is really more interesting and new than you think and Vietnam is truly a destination attraction you should come once in lifetime.